Are you ready for this? 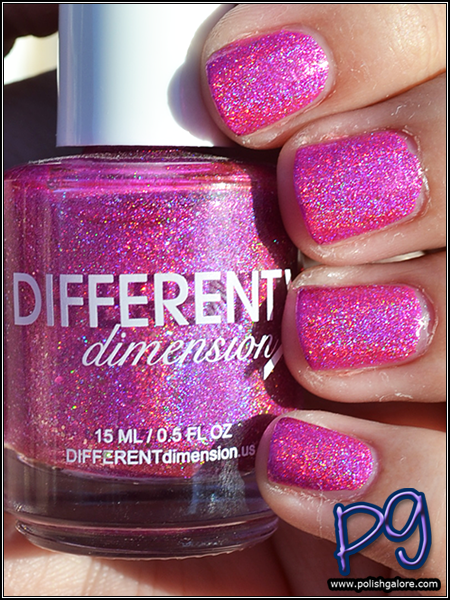 Today I have Different Dimension Cosmic Ray, an intense pink holographic polish with added flakies and holo microglitters from the Cosmologically Speaking Part 2 Collection. This polish is wild. I used a base coat of Duri Rejuvacote, 2 coats of polish and finished Glisten & Glow H K Girl top coat. The formula was amazing. I could have been happy with just one coat. The holo on this is insane. I cannot wait to wear this polish to work because while it's slightly muted in the shade, it's crazy bling in the sun. This is also a purple based pink which is one of my favorite colors. 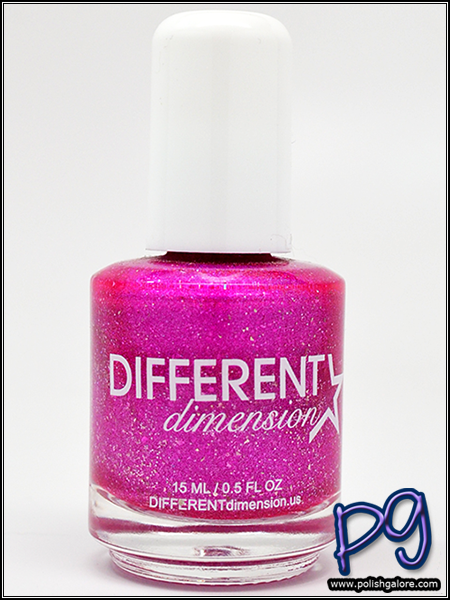 Different Dimension is available on their website. Follow on social media: Facebook and Instagram.